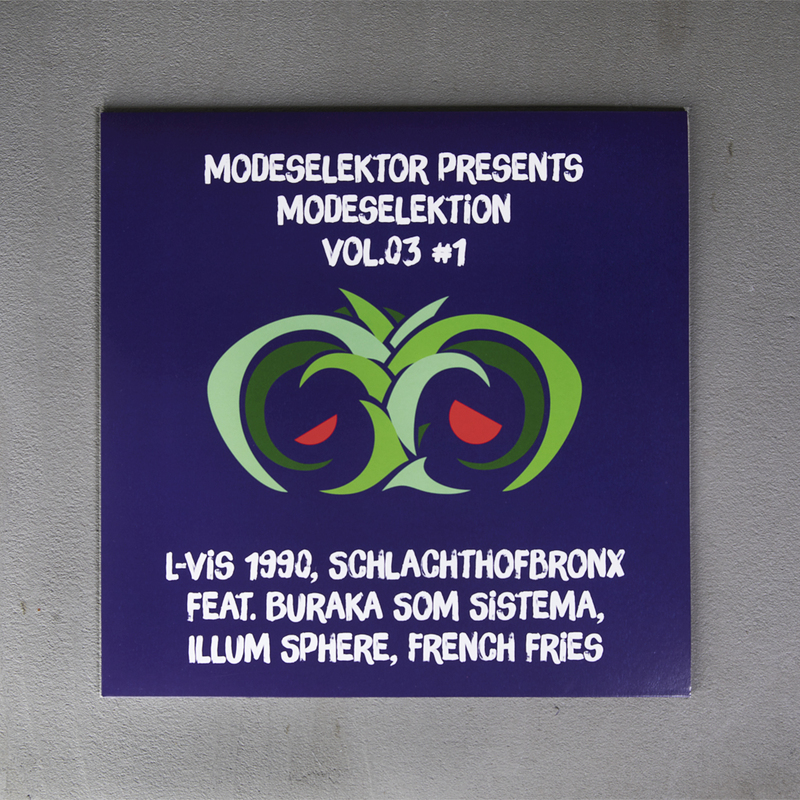 The 3rd edition of the Modeselektor curated “Modeselektion” series will be released as a 3 way vinyl pack. It comes with an LP and 2EPs that are filled to the brim with exciting exclusive material from the hyperactive duo’s favourites and a few very special newcomers. 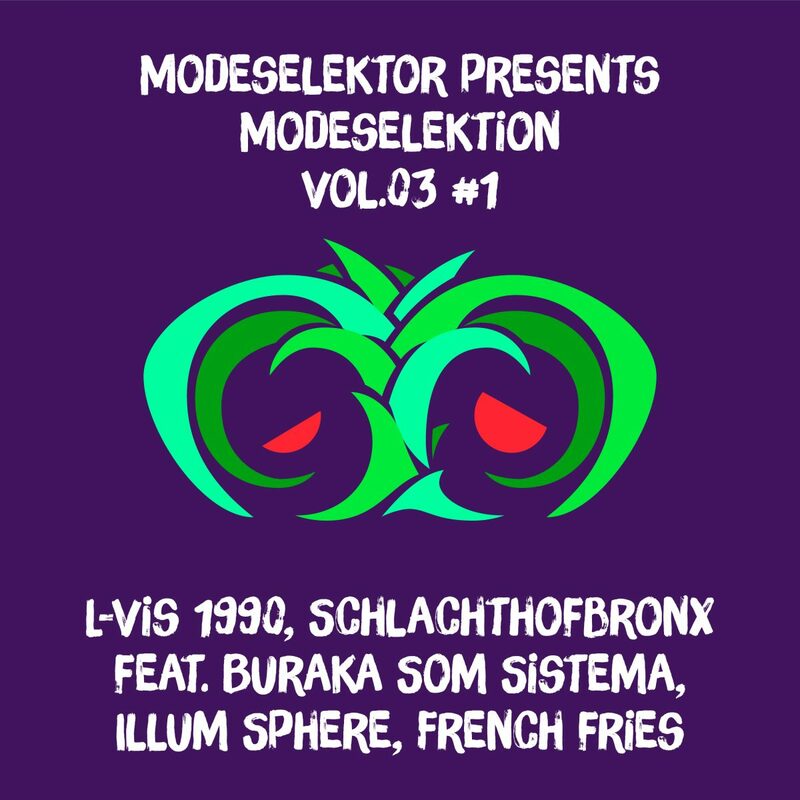 The first EP features the cream of the crop of the bass heavy dancefloor flavoured tunes with Nighslugs own L-Vis 1990, notorious Munich duo Schlachthofbronx feat. 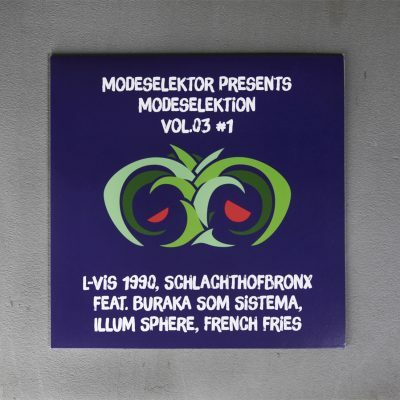 Buraka Som Sistema, Ninja Tunes’ Illum Sphere and ClekClekBoom resident French Fries. Even within the Bass section this may seem like quite a varied selection but the 4 tracks are all united by a certain crave for the hardboiled funk of the machines. Be it “Funk 4D” – L-Vis 1990 very direct approach to a discoid early electronic funk, that he shakes up with syncopated basslines, dark pads and staggering beats. 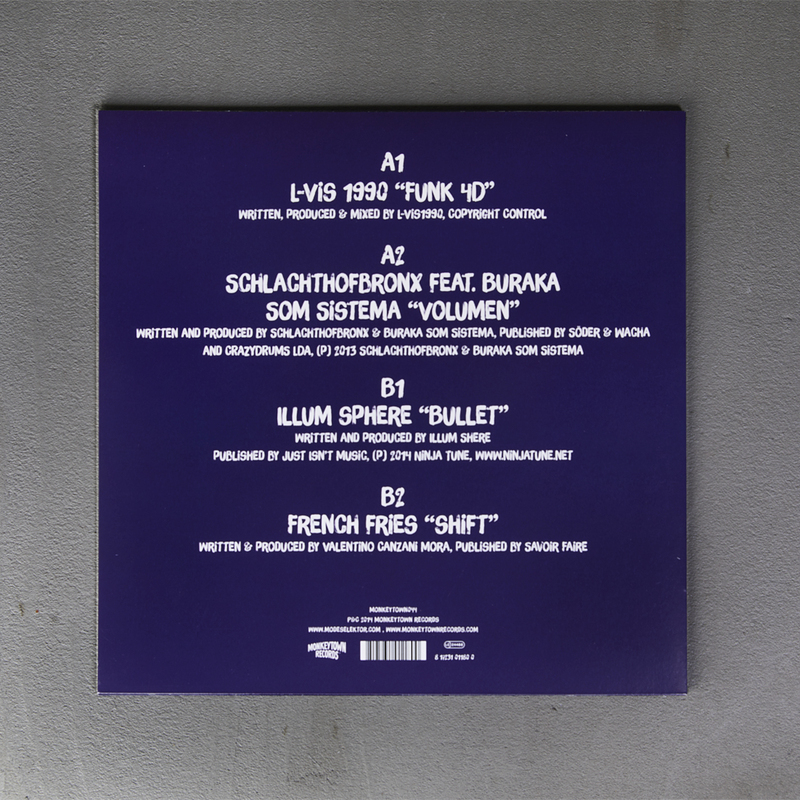 Or Schlachthofbronx and Buraka Som Sistema, who have teamed up on “Volumen” to condense their Kuduro-drive into a more liquid minimal trap version of their 150 pbm bangers. Even Ilum Sphere flirts with the early roughness of 90ies techno’s analogue funk before dropping a disco house bassline on “Bullet” and French Fries delivers an almost industrial approach to current leftfield 4/4 dance music, when he blends his signature minimal bass sound with ambient arpeggios and stone cold funky staccato beats on “Shift”. This one is quite a banger of an EP.